We strongly advise you read Westminster’s Primary School Admission brochure or alternatively you may obtain a copy from the school. Our nursery has 26 places and in September 2019 we will be offering the 30 free hours to eligible families and full-time places with a top up fee to those who would prefer a full time nursery place but are not eligible under the new 30 hours scheme. Full time from 9.00am – 3.10pm. We accept applications once your child is 2 years old. To apply for a nursery class place at Robinsfield, you will need to apply directly to the school. You are welcome to arrange a visit and make an application. When would my child start nursery? Children start in our nursery in the September after they turn 3 years old. How does the school allocate nursery places? There may not be enough places in the nursery class to take all the children who would like to attend. For community schools, where there are more applications than places, the school will allocate places in accordance to the published admissions criteria for community and maintained nursery schools. Please note that there is no automatic transfer from the nursery class to the reception class. There is a separate application procedure for reception class places. When do I apply for a Reception place and when will I hear the outcome? If your child will be five years old between 1st September 2019 and 31st August 2020 your application must be made by 15th January 2019. The national offer date is 16th April 2019. If you live outside of Westminster you must complete the form available from the borough within whose area you live. If your child has an EHC Plan please click on the following link for detailed information on how to apply for a place at Robinsfield. When would my child start Reception? Children born between 1st September 2014 and 31st August 2015 will start in Reception in September 2019. Under the pan-London co-ordinated admissions system (PLCAS) all parents must list the schools they want to apply for on their home council’s common application form ranking them in order of preference. This is important, as potentially only one offer will be made and this will be from the highest ranked school able to make the offer. This form, either paper or online is returned to the local council for the area in which the child lives. The council will co-ordinate the admissions process to ensure that no child receives more than one offer of a place at a London Primary School (the highest preference for which they are eligible) on 16th April 2019. It is therefore very important to put your preferences in the right order. 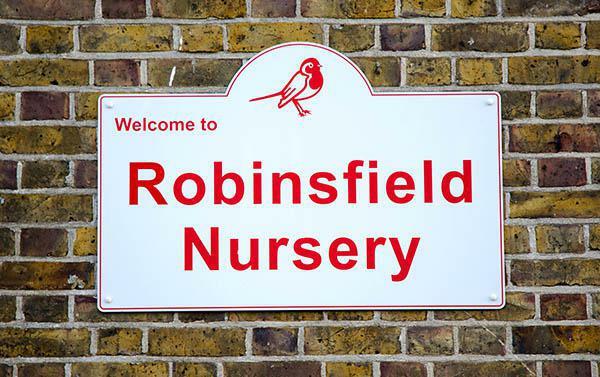 How are Reception places at Robinsfield allocated? The admissions team will order applicants in accordance with the admissions criteria for Community Schools. Parents should contact the local authority (Westminster) to find out about admission arrangements. If your application is received by the closing date of 15th January 2019, you will be sent notification on 16th April 2019. When offering a place, the school will also request evidence of your home address and child’s date of birth. Please note if you are not able to provide an acceptable proof of address your application may become invalid and the offer of a place withdrawn. You are welcome to arrange a visit and make an application.